The Slovenes are very literary people. Their national heroes are men of letters, among them Primož Trubar, the father of the Slovene language and writer of the first book in Slovene; Janez Vajkard Valvasor, a noted polymath and writer of the Glory of the Duchy of Carniola, a mammoth encyclopaedia of the natural history of what is now Slovenia; and France Prešeren, widely regarded as Slovenia’s greatest poet and writer of the words of the Slovene national anthem. When a Slovenian asks your name, he literally asks how you ‘write yourself’; what could be more literary? Slovenia has a population of just two million but publishes more books per capita than the United States; with more than four thousand books published each year, Slovenia is near the top of the international leader-board. However, a book that sells about six hundred copies in Slovenia is regarded as a best seller’; this begs the question, can an author writing in Slovene earn enough to have a comfortable existence? Slovene is the smallest unique language in Europe (that is, where the language is the official language of that country and is a language that is not an official language of any other European state) so there won’t be many people who pick up a book written in Slovene unless it’s their mother tongue. The obvious solution for Slovene authors is to have their work translated but, disappointingly, there’s very little Slovenian literature available in translation. Angels Beneath the Surface: A Selection of Contemporary Slovene Fiction is an eclectic collection of short stories by some of Slovenia’s leading young writers. Published in 2008, it was the first collection of its kind since 1994, just four years after Slovenians voted for independence from Yugoslavia. To some extent the stories collected here reflect the consciousness of the time but they can also be enjoyed out of context and don’t rely on a sense of time to be appreciated. The collection is edited by Mitja ?ander of Beletrina, one of Slovenia’s most important and exciting publishing houses, and Tom Priestly an academic working in the field of Slovene language and literature. The forward thinking ?ander has gathered a really varied collection which I feel is quite representative of Slovene culture and people based on my own experiences, and which offers a diverse sample of authors writing in Slovene today. Maja Novak’s opening story ‘The Fall of the House of Pirnat’ is one of my favourites. It tells the story of a family who want to thank a Bosnian man who has saved the life of Robbie, their youngest. At first the Bosnian declines their offers to show their gratitude but after much persuasion he succumbs and gradually finds it easier and easier to accept their hospitality. As well as being a warmly comical story, there’s a recurring motif of the pride of Slovenians in their language. The story reminded me a little of Bosnian writer Saša Staniši?’s brilliant novel How the Soldier Repaired the Gramophone in the way it captures the quirky individuality of family life. The delicious ‘Geographical Positions’ by Suzana Tratnik is a tantalisingly short but immensely pleasing story that looks at ideas of nationality, not just Slovene-ness, from opposing points of view. At an international conference on gay and lesbian rights, the narrator falls for Krisa, a half Chinese half-Fijian girl from Fiji. This is a really fun piece of writing that hinges on two passions of mine – maps and language. The author ponders the expressions that we use when thinking about the accepted map of the world and how they anchor where we believe our own position is within that map. Miha Mazzini’s ‘Like My Brother’ is a dark and moving tale of a forty year old man who has spent his entire life at his parents’ beck and call. When he was young his parents told him about his younger brother who died in infancy; they told him that they’d hoped that a second child would heal the wounds and fill a gap in their hearts. A second child had not, however, done anything to appease the pain of the loss of their first child; the mother and father stopped going out to work, became virtual recluses while the young lad cooked and cleaned and ran all the errands. We join the story as the father, dying in hospital, asks his son how he feels about his childhood. This is one of the longer stories featured in this collection and, for me, probably the most satisfying. A number of very short pieces of writing are evocative or attention grabbing but it’s the longer stories that really make this an excellent collection and a brilliant introduction to some of the authors featured. Miha Mazzini, who now lives and works in the UK, has had short stories published in several anthologies and I look forward to reading some more. Angels Beneath the Surface: A Selection of Contemporary Slovene FictionAngels Beneath the Surface has been a great starting point for me to start seeking out some exciting Slovene fiction which has made it to translation. These stories have been translated by a number of hands, mostly by native speaking Slovenes; the success of this approach varies and provides a few instances where the resulting English is a bit clumsy. In his note Tom Priestly says that where necessary he tweaked the text to make it more grammatically correct or less jarring to those who have English as their first language, and confesses that he may have been too heavy handed in his editing which could have lost the true Slovene-ness of the text. I didn’t pick up on this because I felt that he had missed the most obvious examples of the translation not quite working, and also because I felt that there is a great deal in these stories that captures the true nature of Slovenian people and their attitudes. As a stand alone collection of stories it’s an entertaining anthology but for anyone interested in Slovenia it’s a must. 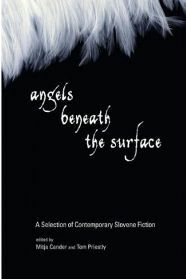 No Comments on "Angels Beneath the Surface: A Selection of Contemporary Slovene Fiction"